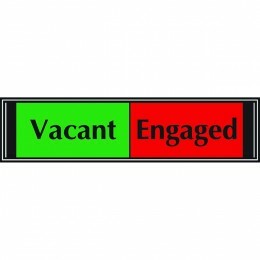 This acrylic aluminium effect sign features clear text and a male/female symbol on the brushed aluminium effect backing to provide clear information for customers. 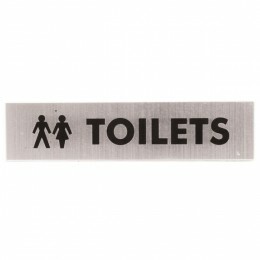 Printed on strong 2mm acrylic board measuring 190x45 mm, this sign is great for restaurants, bars, and other retail environments with toilets and washrooms. 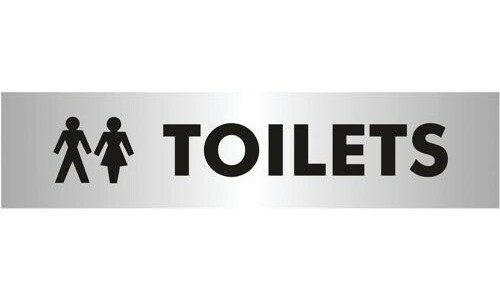 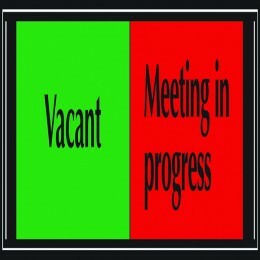 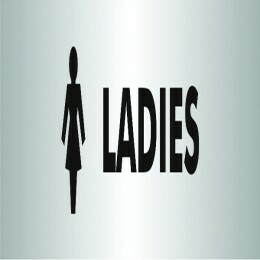 Acrylic Sign:Toilets 190x45mm every day.